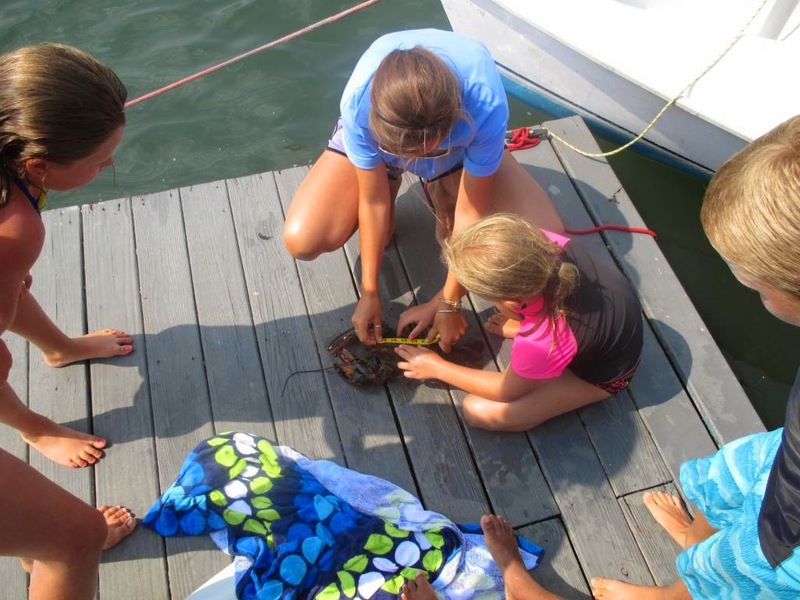 This week at McDonough Sailing Center we had a HUGE amount of kids hanging out with us! While that is a fantastic treat for us Save the Bay Staff, it leaves us with a lack of equipment for the masses. Today, some bright youngsters came up with their own method to catch crabs and fish when they weren't able to get a hold of a fishing rod- and it WORKED!! 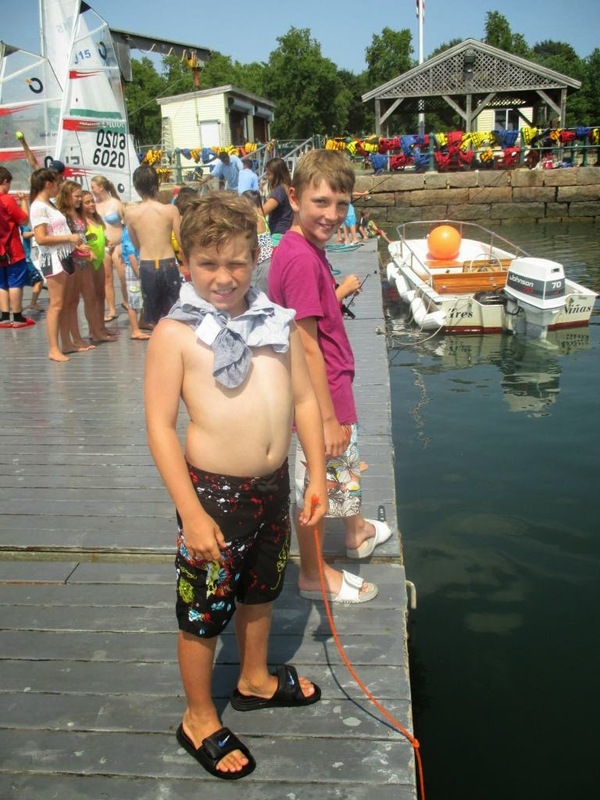 It started with two boys deciding they would take it upon themselves to MacGyver a basic fishing rod using scraps of dock line, hooks, and bait! 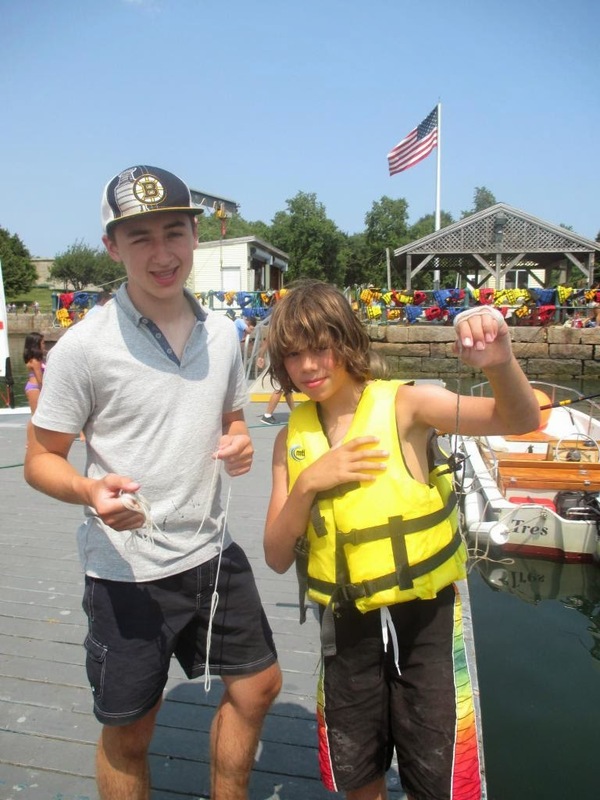 They simply tied a hook to the bottom of the line using a trusty knot they learned in sailing camp, then placed the bait on the hook. While they weren't able to cast their make-shift line out, they did a fine job just dropping the line to the bottom right next to the dock. The bay is extremely muddy and a great place for crabs to live so we are always catching Green Crabs and Spider Crabs. Today, the boys were able to catch mostly green crabs on their lines. Another group of boys then tried the same thing, only minus the hook. They simply tied a piece of a mussel to their line, and dropped that to the bottom. They found that the hook wasn't necessary because the hungry crabs simply pinch onto the bait and don't let go! It was a lot of fun to chat with them about their different methods, then to watch them try it out and succeed! The boys with their basic fishing rods! We also caught three lobsters in the lobster trap today! While we were packing up our things to go, I called over to the few kids that were left to help me measure the lobsters to be sure we could take them home (one of our staffers wanted to use them for a touch tank at an event we will be having this weekend!) I taught them how to measure the thorax of the lobster, and instructed them that it had to be no smaller than 3 1/4" and no bigger than 5". They all helped me lay down the measuring tape and counted the inches one by one to make sure it was in the keep range. Turns out they all were, which is exciting for us, but not so exciting for the lobsters! me and my helpers measuring the lobsters!